These pre rolls give a whole new meaning to high design. Overall, great tasting high quality cannabis makes up for any complaints we have. Worth a try! Weed science? Yes, that's a thing now. 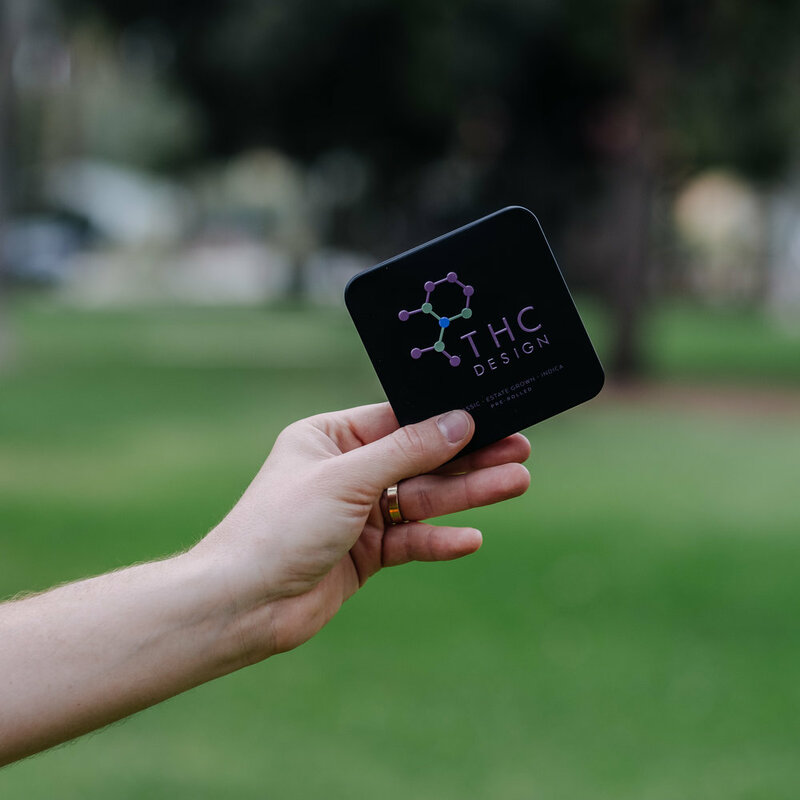 The people bringing science to the pre roll game go by THC Design. Everything from their growing process, to their logo and tagline (Forging the future of Cannabis), let you know this company is geeky about cannabis. As a leading breeder and cultivator, the team at THC design has been operating for over 7 years. They use only natural breeding techniques to create their flower strains, and they don’t use GMOs or synthetics. Also, as a company they’re dedicated to sustainable growing practices – thus they have been reducing their carbon footprint since they started. We tried THC Design's Indica pre rolls and enjoyed the experience. The cannabis is seriously great! The pre rolls are long and thin, so we recommend sharing. The packaging doesn't allow for putting out your joint, and we had a couple pre rolls that didn't burn evenly, so we recommend being prepared to smoke the entire pre roll at once. The packaging is well designed and has a cigarette box type feel to it. Open the vacuum-sealed packaging and you’ll find 6 pre rolls all ready to go. They recommend you enjoying the pre rolls within 10 days of opening the packaging.